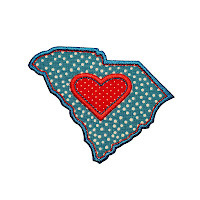 Show your love for South Carolina with this fun applique design range! 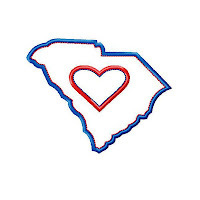 2 variations - South Carolina with Heart and a plain South Carolina. These designs feature a gorgeous contrast stitch of Triple-Bean against the Satin Stitch edge which gives your sew-out a quality look. You can use the same thread color if you don't need a contrast or this step can be omitted entirely. 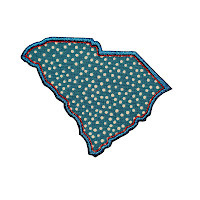 These choices give you even more freedom to personalize your South Carolina Range appliques. 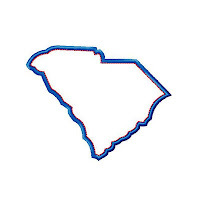 4 sizes - 3", 4", 5" and 6"
4x4 hoop - 3" x 2.37" and 3.32" x 3.1"
5x7 hoop - 5" x 3.94"
6x10 hoop - 6" x 4.74"
- SOUTH CAROLINA Range in the format of your choice. 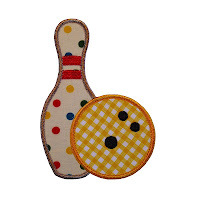 Perfect for birthdays or a fun way to coordinate and dress up a child's room. The Hot Air Balloon Banner is perfect for both boys and for girls! 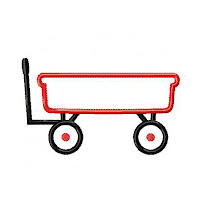 You can add letters and numbers from your embroidery machine to personalize! There are 2 hot air balloon variations and each size is coordinated so you can mix the different sizes on the one banner to give an illusion of distance. You also receive a gorgeous Cloud banner spacer piece which is perfect for separating two words or it makes for an elegant way to finish off the ends of your banner too. This is a quick and easy two-sided banner all done in the hoop with step-by-step instructions to guide you. You are hooping stabilizer only, appliqueing your fabric and font/designs over the top, applying backing fabric behind your hoop, finishing the edges and ribbon holes and cutting away the stabilizer. This banner blank slides onto ribbon 5/8" wide. The "balloon rope" ribbons are stitched into the banner pieces during the embroidery process. 5 sizes - 5", 6", 7", 8" and 9"
NB This project is not available for the 4x4 hoop. 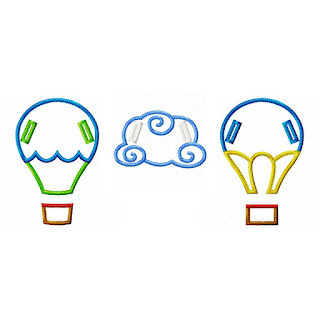 PICTURED is the 5" banner pieces combined with the 4" cloud spacer. NB This banner does not come with any lettering. 5x7 hoop - 5" x 3.29", 6" x 3.94" and 7" x 4.58"
6x10 hoop - 8" x 5.23" and 9" x 5.88"
4x4 hoop - 3.91" x 2.45"
5x7 hoop - 5" x 3.11" and 6" x 3.72"
- HOT AIR BALLOON BANNER ITH in the format of your choice. 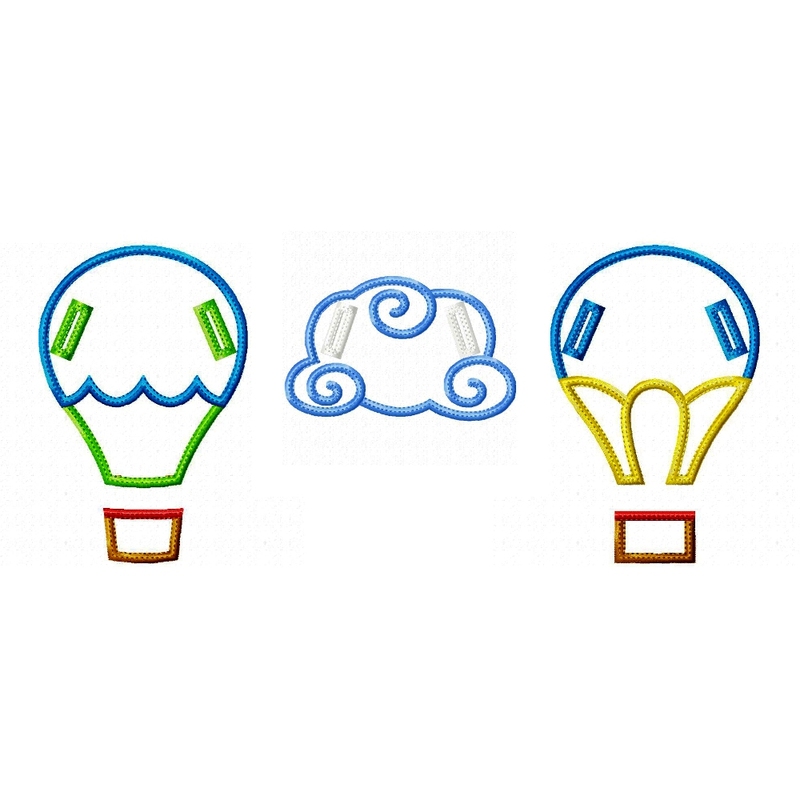 - Easy to follow Assembly instructions! NB: This banner does not come with any lettering. 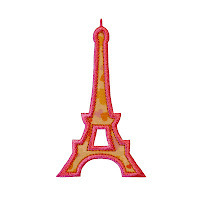 To personalize, add letters from your embroidery machine or your own files. This appliqué range is a delight to sew out. All designs include my signature stitch of Triple Bean inside the Satin stitch edge which brings a look of luxury to your sew out. 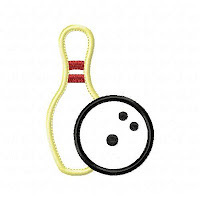 Sizes: Bowling ball on its own is 2", 3", 4", 5" and 6". All other designs are 3", 4", 5", 6" and 7". 4x4 hoop - 3" x 2.15" and 3.93" x 2.8"
5x7 hoop - 5" x 3.56", 6" x 4.26" and 7" x 4.96"
4x4 hoop - 3" x 1.23" and 3.93" x 1.58"
5x7 hoop - 5" x 1.98", 6" x 2.37" and 7" x 2.75"
4x4 hoop - 2" x 2", 3" x 3" and 3.93" x 3.93"
- BOWLING PIN AND BOWLING BALL SET in the file format of your choice. - Easy to follow Step-by-Step instructions – Simply cut as you sew! 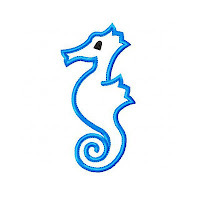 Who doesn't love seeing a seahorse! 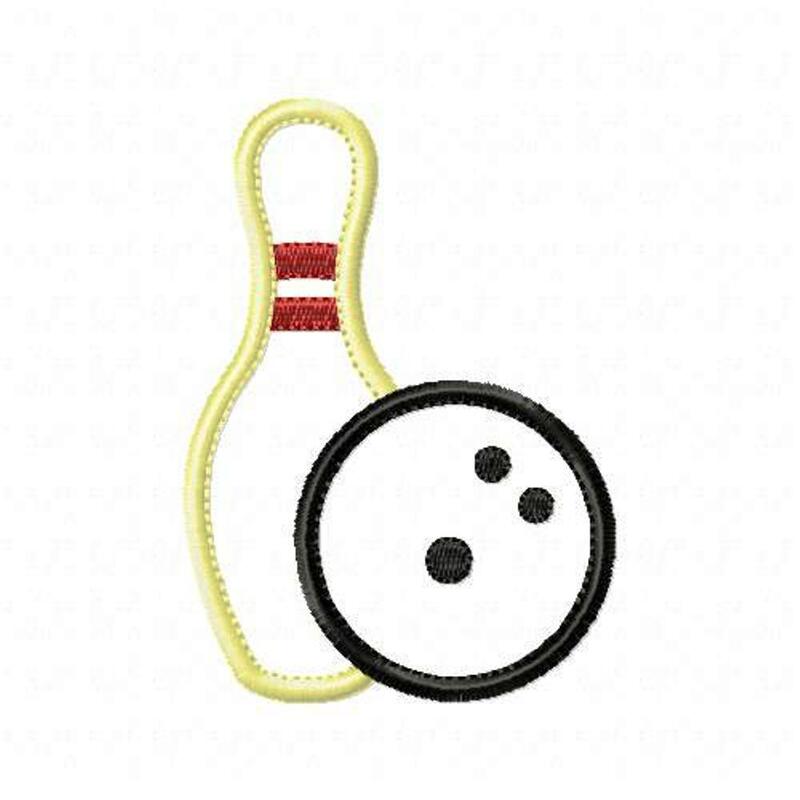 This design features a gorgeous stitch of Triple-Bean inside the Satin Stitch edge to give your stitch-out a quality look. 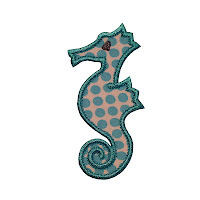 4 Sizes - 4", 5", 6" and 7"
5x7 hoop - 5” x 2.5", 6" x 2.98" and 7" x 3.46"
- SEAHORSE Applique in the file format of your choice. This applique design is a delight to sew out and features a gorgeous inner stitch of Triple-Bean against the Satin Stitch edge to bring an added look of luxury to your stitch out. 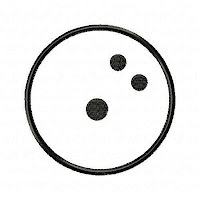 PICTURED is the 5" sew-out. 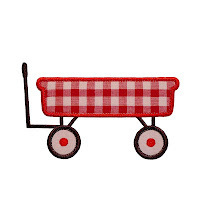 4x4 hoop - 3.93" x 2.39"
5x7 hoop - 5" x 3.05", 6" x 3.67" and 7" x 4.28"
- RED WAGON in the format of your choice. 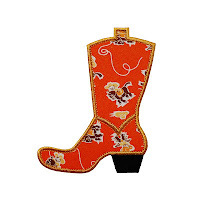 This Cowboy Boot applique design is a delight to sew out and features a gorgeous inner stitch of Triple-Bean against the Satin Stitch edge to bring an added look of luxury to your stitch out. 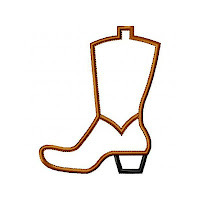 4x4 hoop - 3" x 2.49" and 3.93" x 3.25"
5x7 hoop - 5" x 4.12" and 6" x 4.94"
- COWBOY BOOT in the format of your choice. 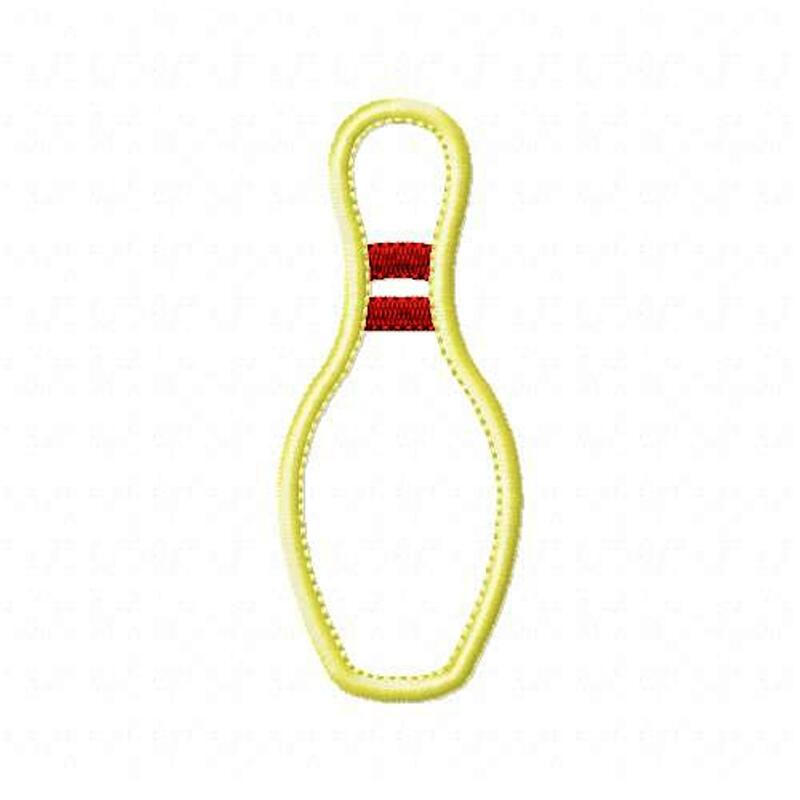 Fun for boys and girls alike, this super "sweet" applique design features a gorgeous stitch of Triple-Bean inside the Satin Stitch edge which gives your applique a quality look. 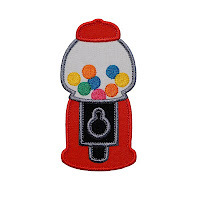 Personalize your gumball machine applique by omitting the fill-stitch gumballs if you wish and add a letter to the globe or you can sew on some buttons for a fun 3D effect. 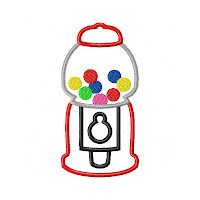 6 sizes - 4", 5", 6", 7", 8" and 9"
4x4 hoop - 3.93" x 2"
6x10 hoop - 8" x 4" and 9" x 4.49"
- GUMBALL MACHINE in the file format of your choice. 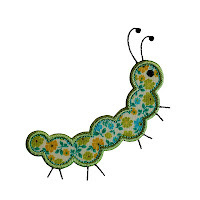 This sweet caterpillar applique design is a delight to sew out. 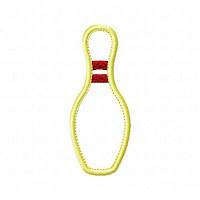 It features a contrast stitch of Triple-Bean inside the Satin Stitch edge to highlight the shape of its body. 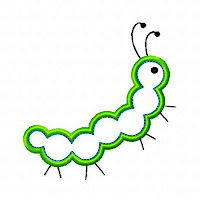 Exact sizes:4x4 hoop - 3" x 2.93" and 3.92” x 3.83”5x7 hoop - 5” x 4.85"6x10 hoop - 6" x 5.8"
WHAT YOU RECEIVE:- CATERPILLAR in the file format of your choice.- Easy to follow step-by-step instructions – Simply cut as you sew! You can make this elegant tri-color banner perfect for your 4th of July and Memorial Day celebrations! Nothing says "I love America" or "Happy 4th" more fittingly than this wonderful shape! This is a quick and easy two-sided banner all done in the hoop with easy to follow step-by-step instructions to guide you. You are hooping stabilizer only, applying fabrics and backing fabrics behind your hoop, finishing the edges and eyelets and cutting away the stabilizer. This banner pieces then slide onto ribbon. TIP: It's perfect just as it is but if you are a confident/advanced editing software user, you can also add fonts/designs to further personalize your banner. There are 2 backing variations with this design: If the banner will be seen from both sides, you simply select the Tri-Color backing files; if the banner will be against a wall, you simply select the One-Color backing files. All instructions are very easy to follow. 6 Sizes - 5", 6", 7", 8", 9" and 10"
NB This design is NOT available for the 4x4 hoop. 5x7 hoop - 5" x 2.87", 6" x 3.43" and 7" x 3.99"
6x10 hoop - 8" x 4.55", 9" x 5.12" and 10" x 5.68"
- PATRIOTIC BUNTING ITH Project in the hoop in the format of your choice. Show your love for Paris with this tres chic applique design of its famous landmark! This design features a gorgeous inner contrast stitch of Triple-Bean against the Satin Stitch edge to bring an added look of elegance to your stitch out. 7 sizes - 4", 5", 6", 7", 8", 9" and 10"
Pictured is the 4" stitch out. 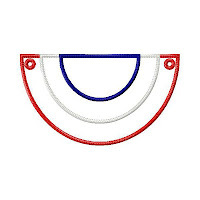 4x4 hoop - 3.91" x 2.26"
5x7 hoop - 5" x 2.81", 6" x 3.33" and 7" x 3.86"
6x10 hoop - 8" x 4.37", 9" x 4.89" and 10" x 5.42"
- EIFFEL TOWER in the format of your choice.